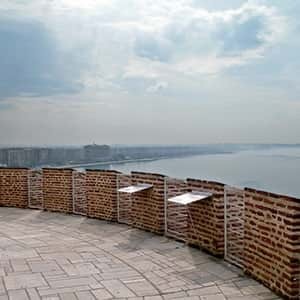 «Thessaloniki. 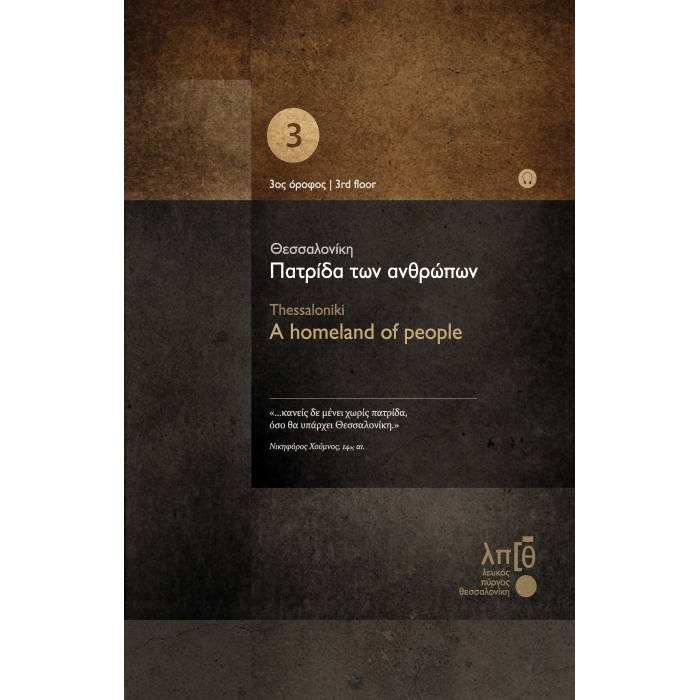 A homeland of people». 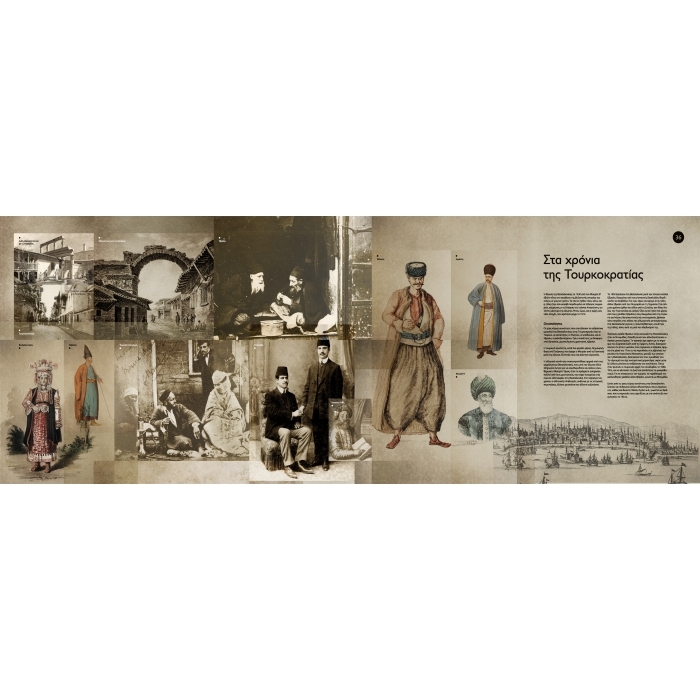 The theme is the city’s people, those who had it as an ancestral homeland as well as those who came there - whether by necessity or not - from elsewhere and found in it a new homeland. 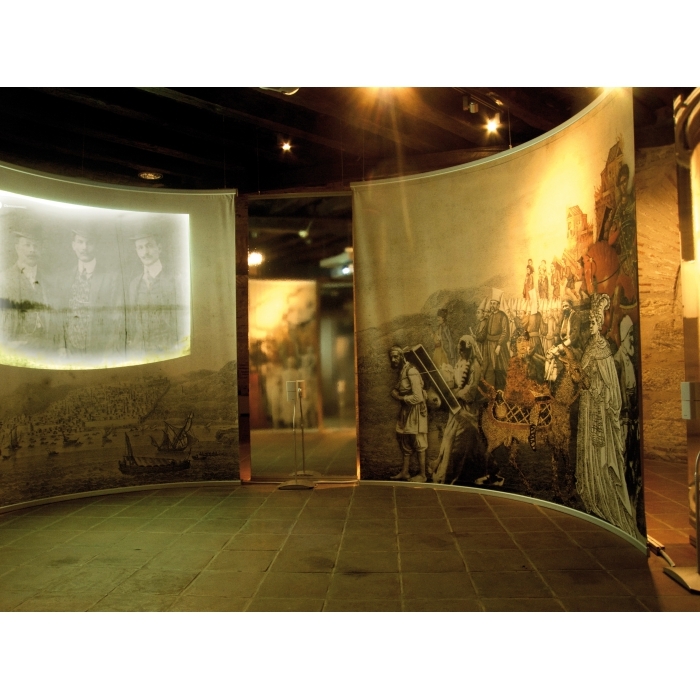 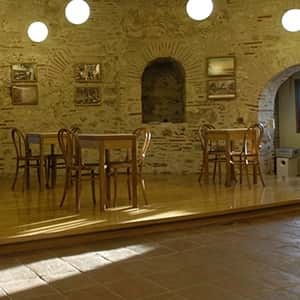 Upon entering the main gallery on this floor, visitors encounter the front door of a house, the window of which has been replaced by a screen on which slides are projected of the lost homelands of the Greek refugees of 1922, referring to their faith and hope that one day they would return to these. 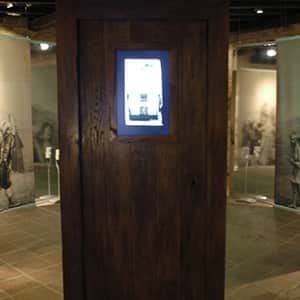 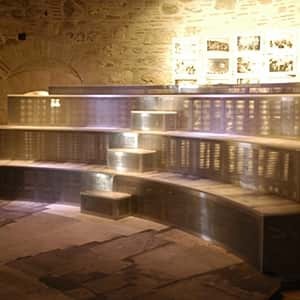 Behind the door, a circular area has been created for the projection of a film. 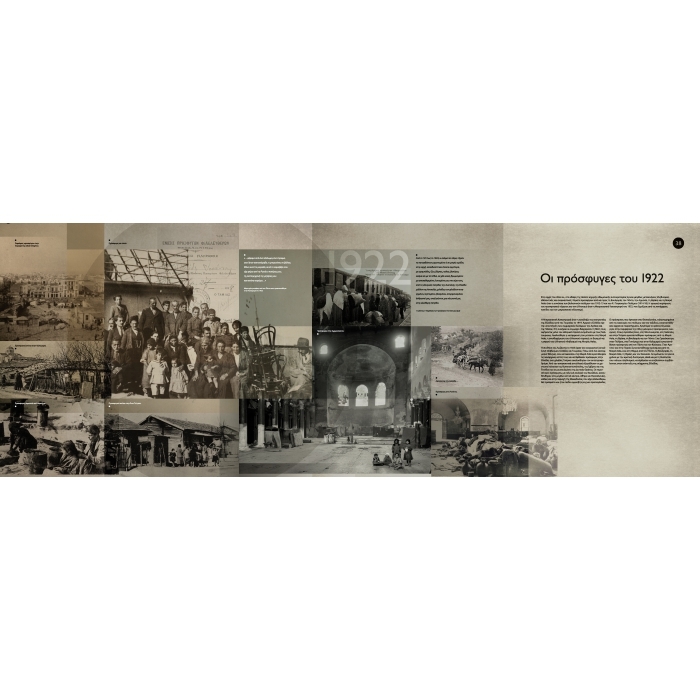 In it, old-time Thessalonians unfold memories of their life in the city, and those newly-arrived narrate impressions of their new homeland. 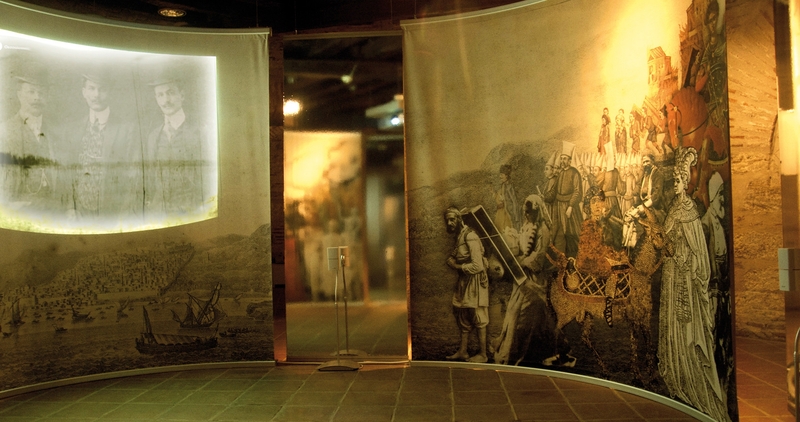 The film showing is framed by graphic compositions on panels, in which people head for or away from the projection, indicating perpetual human comings-and-goings through the centuries. 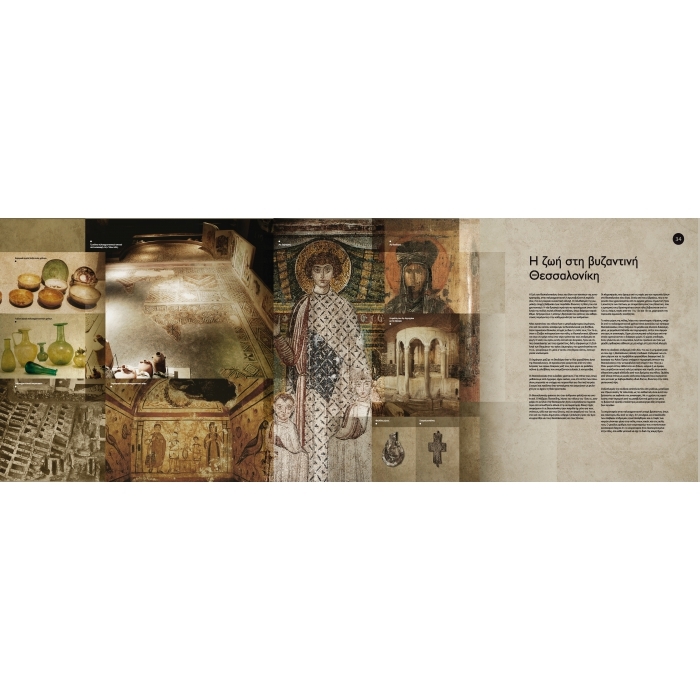 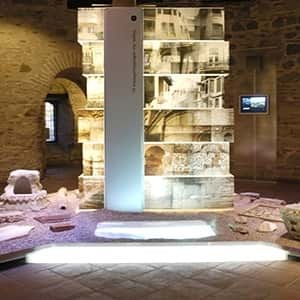 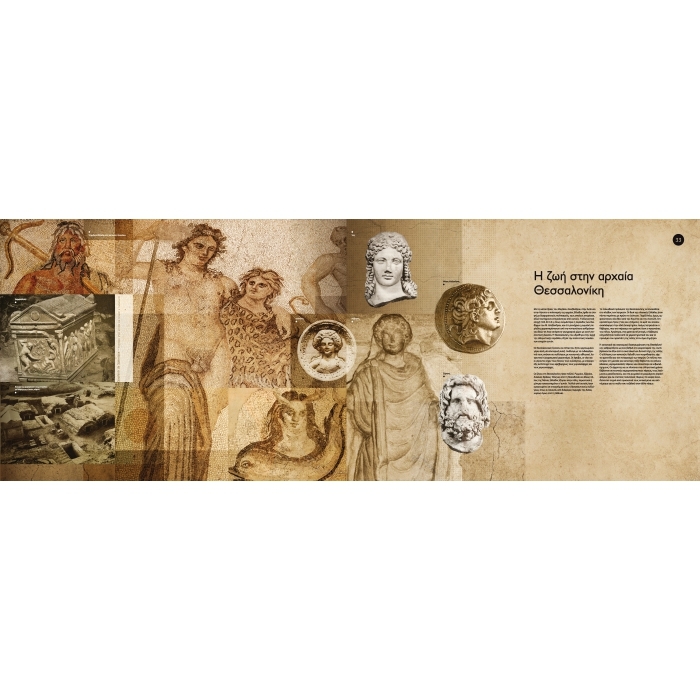 The outside of the panel is interspersed with demographic data about the population of Thessaloniki at various periods, and with 16 excerpts from texts by writers and travelers who described the city from the seventh century down to the present. 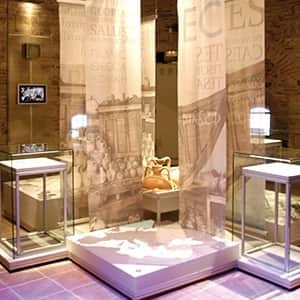 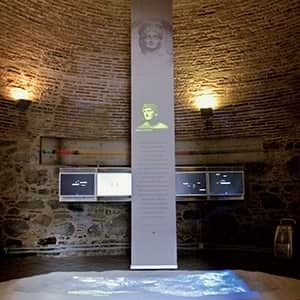 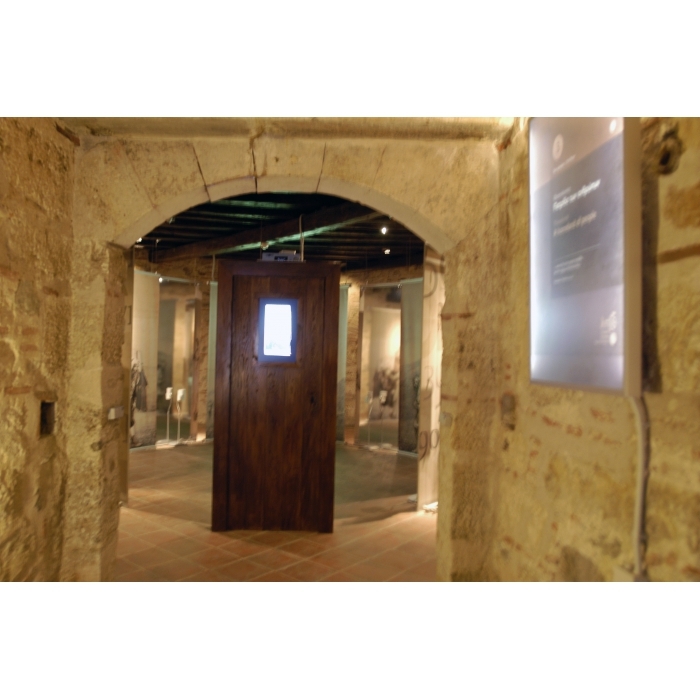 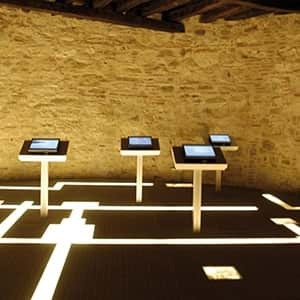 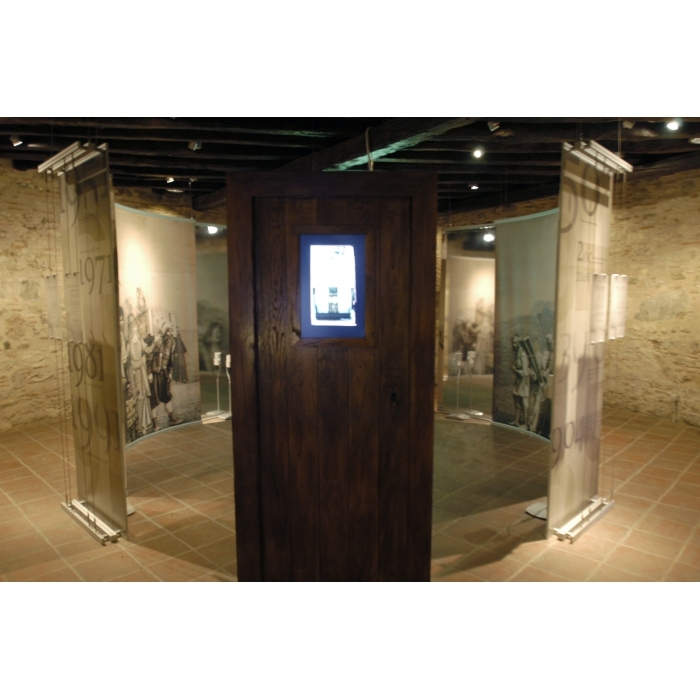 In the surrounding rooms, information is provided through lightboxes about the life of Thessalonians during the ancient, Byzantine, and Ottoman periods, about the refugees of 1922, the German occupation in World War II and the extermination of the Thessalonian Jews, the urbanization of the 1950s and 1960s, and about those who repatriated in the 1990s.